Seminar rooms for rent now allow business owners, entrepreneurs, and freelancers to access professional conference rooms at affordable rates. With the Internet, it’s easier than ever for businesses to operate without a central location. However, there are times when physical space is needed. Seminar rooms are often used for presentations given to potential clients or for employee training. However, while seminar rooms are often necessary, it can be hard to figure out what essential things should be looked for in a seminar room rental. Here are the tips to help you find the right seminar room for rent. When it comes to renting seminar rooms, the most important considerations are the room’s features. You need to ensure that a seminar room will be big enough to hold all of the clients or employees that you want in the space. Just as important, you need to consider the room’s layout. Even if a seminar room is big enough for your purposes, the layout and room design might not be suited to your needs. It’s also important to make sure the seminar room will have the equipment that you need. Projectors, video or audio conferencing equipment, and displays may be needed for your purposes. However, don’t just focus on cutting-edge equipment—make sure your seminar room also has tables and chairs (or desks, if needed), whiteboards, and other basic pieces of equipment that may still be essential. 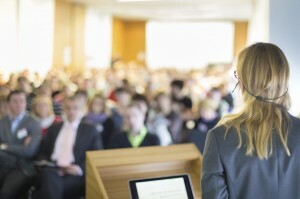 If you want your conference to be a success, then you need to ensure that people show up and that they are satisfied. One of the best ways to do this is by choosing a seminar room on rent that is accessible to your clients. Seminar rooms should have parking spaces, and should be accessible by both car and public transportation. Look for seminar rooms that are either in downtown locations, where they can be accessed by public transportation, or near major arterial roads and highways, where they can be easily accessed by car. Don’t choose seminar rooms that are hard for your clients to reach. They may not show up, be late, or be unhappy with your decision. When you are renting a seminar room, you want to make sure that you are getting the service that fits your needs. Look for office space providers that can offer flexible services. Good providers will be able to rent you seminar rooms by the hour, half day, day, week, or month, ensuring you get a room for however much time you need and don’t pay for anything extra. Flexible service will ensure that you get a seminar room at the best rates possible for your needs. Sometimes, you may need more than just a basic seminar room. You may need Internet access for your presentation, or specialized equipment like computers, laptops, or display monitors. As well, you may need photocopying services, or even want catering for your conference. A good seminar room rental provider will offer additional services and support that can help you provide a professional conference. If you want to really present a professional image, some rentals will also provide professional staff, receptionist services, and technical support to help you make the best impression. Innovative Professional Offices offers mailbox services and virtual offices, along with fully-furnished executive office suites and seminar rooms for rent in Ottawa, Brampton, and Mississauga. To learn more, contact us today.